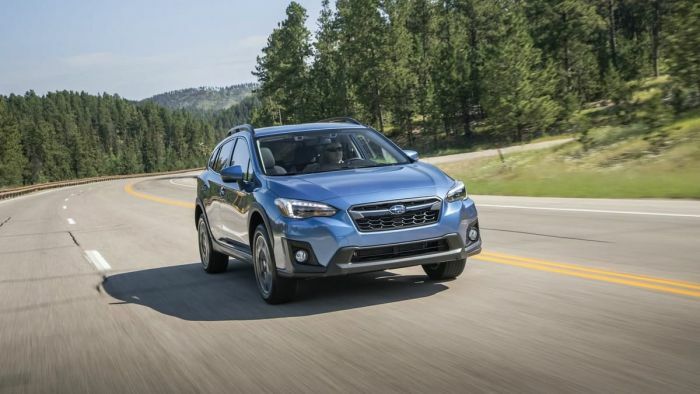 The 2019 Subaru Crosstrek, Outback, and Impreza are Vincentric Best Value in America Awards winners. What does it mean for consumers? Consumers looking for vehicles that are the lowest cost to own should check out the 2019 Subaru Crosstrek, Outback, and Impreza all-wheel-drive models. According to the newest Vincentric 2019 Best Value in America Awards, Subaru scores three winners with the lowest insurance costs, lowest ownership, and low depreciation costs. Vincentric announces Subaru Impreza is the best compact hatch in America, Crosstrek and Outback are best in their class. The 2019 Subaru Impreza won the 2019 Vincentric Best Value in America award in the Compact Hatchback segment. Having the highest resale value and lowest depreciation rate in its class contributed to the win. Also, in Vencentric’s 2019 Lowest Cost to Own in America recipients, Crosstrek and Outback have the lowest cost of ownership in their class. The 2019 Subaru Crosstrek wins in the Compact SUV/Crossover class and the 2019 Subaru Outback takes the best in the Mid-Size SUV/Crossover class. Vincentric measures cost-of-ownership using eight different cost factors: depreciation, fees & taxes, financing, fuel, insurance, maintenance, opportunity cost and repairs. Using a statistical model, winners were identified by measuring which vehicles had lower than expected ownership costs given their market segment and price. Each vehicle was evaluated in all 50 states plus D.C. using a range of annual mileage intervals and insurance profiles. Subaru’s second-generation 2019 Crosstrek crossover and Impreza compact 5-Door hatch each have undergone complete makeovers getting the Subaru Global Platform, while the 2019 Subaru Outback is due for a complete remodel. Subaru will be announcing an all-new 2020 Outback model soon. Stay tuned. Starting a site or blog and trying figure where to find your site to rank can become quite something. A person follow their rules and guidelines, because it's hosted by another person. You've gotten fantastic knowlwdge here , Dental implants india . Hmmmm...my 2006 OB Limited has had some expensive and weird repairs this far with only 50,000 m. on it. Both wheel bearings on passenger side, RF axle and boot, Takata crap airbags, and NOW drivers-side front axle next week. Each repair listed around $500- except Airbags & inconvenient! This is on a babied, clean, low mileage car. Where is THAT savings they lie about? Hmmmmm...?